Why spend £5 on a lip scrub from LUSH when you can make one yourself? I came across a super easy method for making your own lip scrub whilst I was browsing the internet so what better thing to do than to share it with you guys! There aren't any exact measurements as it just really depends on the texture and amount you to make. Unlike a lot of other recipes, there isn't any olive oil so no more of that horrible smell lingering around! 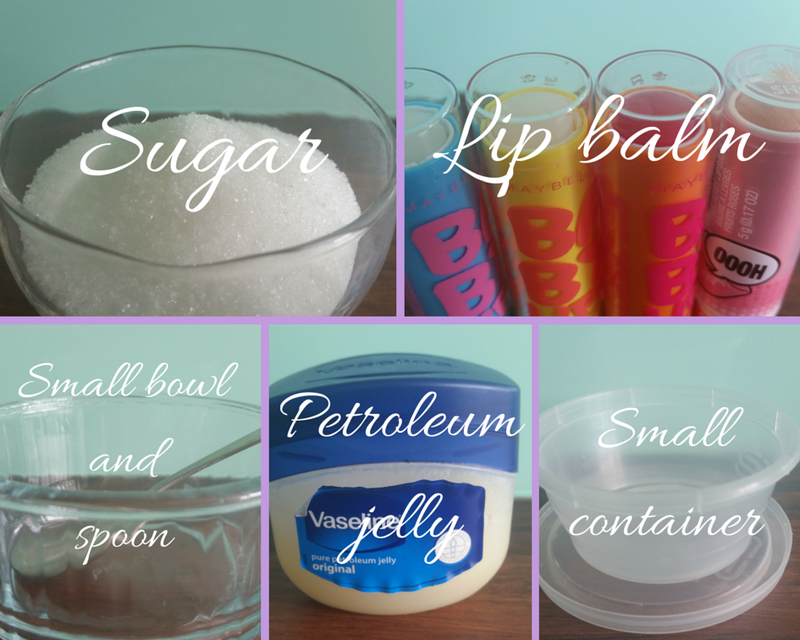 Mix together some petroleum jelly with a chunk of your lip balm in a small bowl. Then add the sugar, add as little or as much sugar as you want. The more you add, the grainier the texture. If you find you have added too much just add some more petroleum jelly in. Afterwards you can add more of your lip-balm to achieve the desired colour. Spoon the mixture into a small container. I found this recipe worked much better than the olive oil and honey one that you might have heard of before. Do you have any more recipe ideas on how to make you own lip scrub?